To meditate on Vajrasattva is the same as to meditate upon all the Buddhas. His hundred-syllable mantra is the quintessence of all mantras. 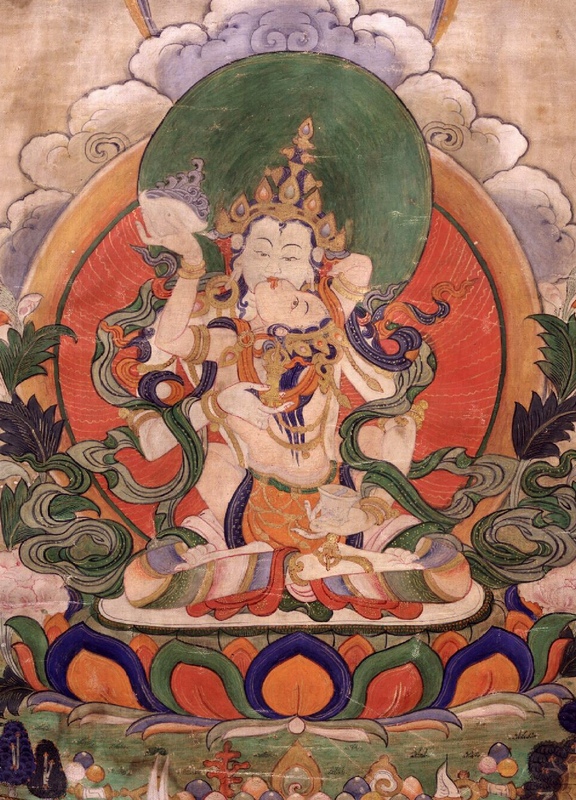 Vajrasattva’s mantra is a powerful purification prayer that invokes the mindstreams of all the Buddhas. Khenpo Sherab Sangpo suggests that his students recite this mantra 21 times or more each day. 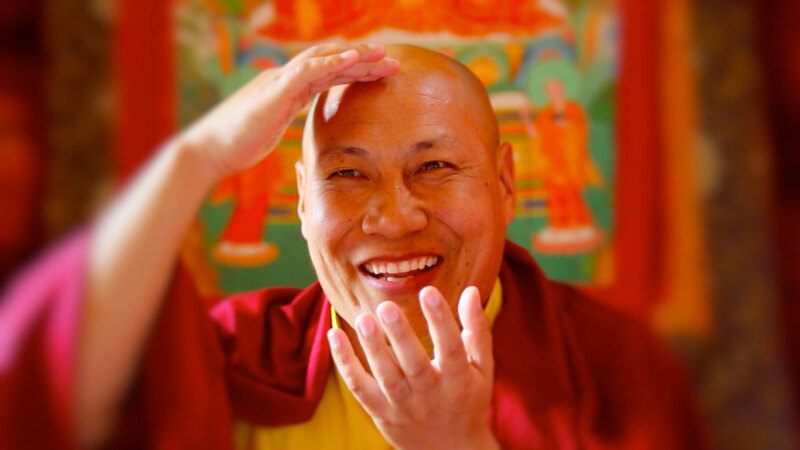 Watch Khenpo Sherab Sangpo’s teachings on how to practice the meditation and recitation of Vajrasattva. Whatever manifestations of realms, palaces and forms there are, peaceful and wrathful deities, they do not exist on a gross level. They are forms of shunyata endowed with all the supreme qualities. Therefore, they are known as possessing the aspect of being without self-nature. The minds of those buddhas are completely filled with the wisdom of unchanging non-dual bliss emptiness. Therefore, they are known as possessing the aspect of union. Their body, speech, and mind are eternally filled with the taste of great bliss, free from increase and decrease. Therefore, they are known as possessing the aspect of great bliss.